Dr Phil Kearney joined Merck Sharp & Dohme Australia in 2007 as the key scout for innovative research and development in the Asia Pacific region for India, South East Asia, Australia, & New Zealand. The Sydney-born scientist has the challenge of uncovering and commercialising discoveries by local researchers that have strong potential to benefit the health of people around the globe. Dr Kearney is responsible for identifying partnership opportunities with research institutes and biotechnology companies to secure high-value intellectual property for the Merck & Co pipeline. 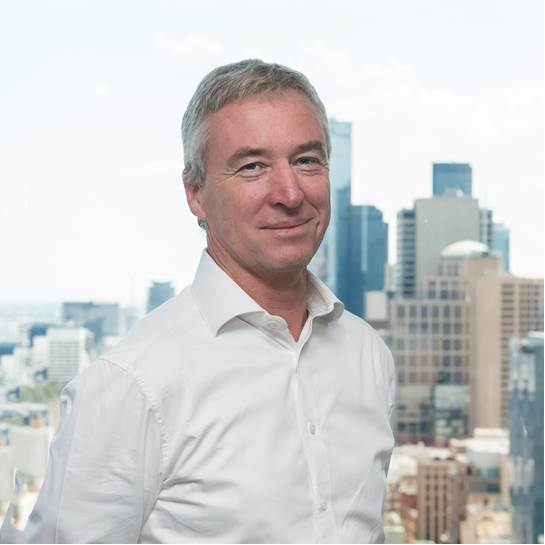 As head of the External Licensing group at the company’s head office in Sydney, Dr Kearney regularly liaises with Australian and New Zealand biotechnology companies and research institutes to look for new chemical and biological entities with therapeutic potential, validated drug targets and new platform technologies. Significant publically disclosed deals in which Dr Kearney played a part include the license to the Vaxxas patch technology for vaccine delivery, and the license of the Bionomics alpha 7 PAM for cognition. Dr Kearney holds an MBA from the University of Sydney and completed his PhD in the genetics of the methanol fermenter Methylophilus methylotrophus AS1 at the University of Monash. He went to London to work in the laboratory that was mapping the human Y chromosome and later worked on mapping the X chromosome at the Murdoch Institute in Melbourne. Dr Kearney then joined the team at St Vincent’s Hospital for more than a decade as the Head of the Haemotology Research Laboratory, where the theme was antisense and ribozyme modification of oncogene expression. He then to moved to Sweden in 2000 to take up the role of Project Leader of Oncology for Active Biotech, a position he held for five years. He left his last post in Scandinavia as Director of Biology and External Research at Danish biotechnology company Santaris Pharma to join the Merck Sharp & Dohme team. Dr Kearney’s extensive background in oncology and haematology is in keeping with one of Merck Sharp & Dohme’s key focuses as the company looks to secure novel drug targets for cancer treatment and a range of other diseases. As an ambassador for regional science, he places a strong emphasis on his role in convincing international decision-makers within Merck of the worth of investing in Asia-Pacific health and medical research, especially Australian and New Zealand discoveries.